Blogs are dead. You may have heard someone make this statement or say something similar, like No one reads blogs any longer. Or Blogs are being replaced by newer technology for communicating with a target audience…like podcasting and live streaming video. It is, however, true that the blogosphere has changed and is changing. And blogs do not provide the right avenue for every aspiring author. And other tools exist that work well to build an audience or platform, especially when used in conjunction with a blog. What does this mean to you if you want to blog a book? 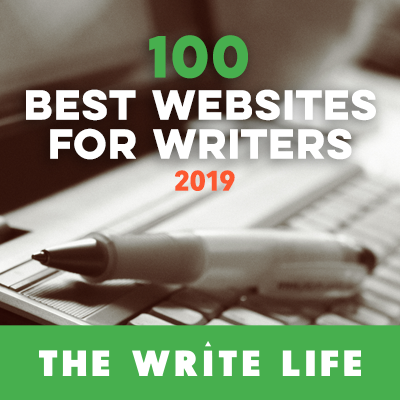 Blogs remain the central mechanism for raising visibility for an author’s website and the best way to create a sustainable author platform. 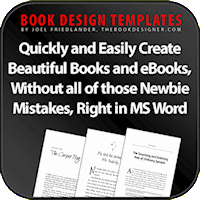 They also are an enormously useful tool for promoting books and developing a foundation of potential readers in your target market. 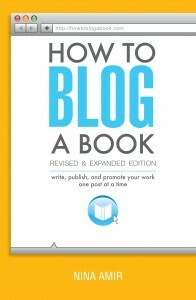 But, with the changing blogosphere, should you still consider blogging a book? Of course, you should. I’m sticking with my story. Blogging remains a strong strategy for writing and promoting books. 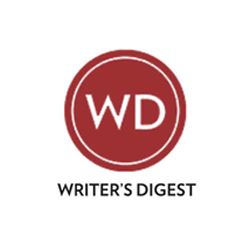 A blog still provides an awesome platform for those seeking to land a traditional book deal or launch a successful indie book. Here’s a fact. You can find information that shows a decline in interest in blogs and blogging. Other data shows the opposite. I began my research the same way as Ramsay, searching for the term “blogging” in the Google Trends’ search engine. Here’s what I found. You are probably thinking, Oh, no! It’s true. Blogs are dead or dying. Just look at that downward trend. I shouldn’t be blogging or blogging a book! The term “blogging” has lost some popularity in the last decade. You need not be concerned about this fact unless you want to blog or blog a book about blogging. Let’s take the research a bit further. If we add in a two more terms—“start a blog” and “how to start a blog”—we see a rise in interest. This seems to indicate that the terms “blogs” and “blogging” are common knowledge at this point. People understand blogging, and they still have an interest in blogging. Maybe in the early blogging days fewer people understood what a blog was or wanted to get in on the new technological trend. They still sought to understand blogging. At this point, possibly with the established nature of blogs in our culture, more people now want to know how to get a blog up and running for personal or professional use. Let’s search again adding in one more term: WordPress, the blog technology used by most professional bloggers and the one I recommend. If you read Ramsay’s post, you’ll see a graph that looks quite similar, but he searched for the term “Tumblr,” another blogging platform. This data seems to indicate that many people continue to have an interest in blogs and blogging, but they are getting more specific about the information they need and want. They’ve progressed beyond learning about blogging, and now they want to know how to do it with specific tools. I’d say that means they are still blogging or finding this tool useful. Of course, WordPress sites are the standard for websites in general. You no longer need any other type of technology to create a website and blog. WordPress does it all. That could be why this search term seems so popular. industry leaders have been known to claim that the blog-to-book trend ended back in 2009 or so. –Ann Voskamp, whose large blogging platform landed her a book deal for One Thousand Gifts, which remained on the New York Times Bestseller list for 60 weeks. – Zoe Sugg, aka Zoella, whose fashion and beauty blog success (and YouTube presence) helped her score the highest first-week sales for a debut author. 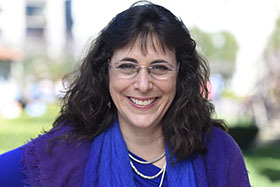 Her debut novel Girl Online sold 78,109 copies in the first seven days after release—more than JK Rowling, Dan Brown or EL James achieved with their first books. Her sales record is the highest since Nielsen BookScan began compiling data in 1998, according to The Bookseller. – Jaime Tardy, a business coach, blogger and podcaster best known as the founder of the Eventual Millionaire blog and podcast, landed a book deal with Wiley for The Eventual Millionaire: How Anyone Can Be An Entrepreneur and Successfully Grow Their Startup. Since you want to blog a book, let’s go back to Google Trends and conduct a bit more research to see if interest in blogging books and landing blog-to-book deals has remained of interest to bloggers and writers. People—or aspiring authors and bloggers—continue to have interest in turning their content into books. On this graph, you can see interest in going from blog to book intentionally—and probably the blog-to-book trend—did not come to a crashing halt. Instead, it leveled off and experienced a slight decline in the last year or so. I’m sure this graph also includes those interested in booking blogs. Next, I added the term “blogging books” into the mix. Finally, I added in the term “blog to book,” and I was pleasantly surprised. (And you should be, too). I was a bit curious about the interest in booking blogs vs. blogging books. However, the first graph generated with the terms “blog a book” and “book a blog” showed no difference at all. The terms were too similar. So, I plugged into Google Trends these terms: “blog to book” and “book a blog.” Look at the result! 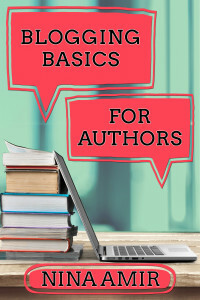 In this case, the terms do not produce identical results, but you can see that many bloggers would like to know how to repurpose their content into a self-published book or land a book deal. 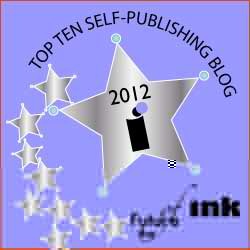 But there are some reasons to keep on blogging, especially if you are in it for the end product of a successful book. Bamidele Onibalusi Writersincharge.com—created a successful blog in eight months. That means you can follow their success clues and do the same. Producing multimedia content, such as infographics, podcasts, eBooks, visuals, and videos. “This takes our blogs into new dimensions and gives people solutions in formats that are appropriate to their needs and usually lead to more shares,” he says. Experiment (carefully) with new technologies. Today, Facebook Live is huge! Before that Snapchat and Periscope entered the game. And many a blogger has become a podcaster, a hot technology now as well. “The best way to figure out what technologies to look at is to figure out who is an early adopter in your niche,” recommends Ramsay. 2. For an aspiring author, blogging success means a much higher likelihood of landing a book deal or creating a successful self-published book. The reason is simple: Large numbers of blog or email subscribers, as well as unique visitor and page view statistics, equate to an author platform. Some publishing industry experts say you don’t need a platform, especially if you write fiction. But publishing is a competitive field, and your platform provides the foundation for all your book marketing efforts. For nonfiction writers, a platform is essential. It proves you are the expert on and that people are interested in your topic. And, again, it’s a foundation of potential readers. This is not the first time I’ve heard about this requirement, which is why I suggest writers start a blog first…before they write the book. 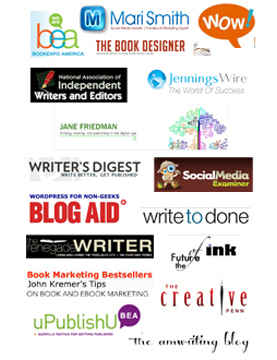 Most publishers expect aspiring nonfiction and fiction authors to have blogs and a platform. Blogging helps you find your tribe and test market your book. As you blog or blog your book, you will find readers who are interested in your topic. Or you won’t. If you don’t, either you didn’t do a good job with post promotion, didn’t blog frequently enough, or no one is interested in your subject. If you do develop a significant following, you’ve proven the market for your book. You can promote your book before and after launch. A blog remains the best way, I believe, to generate interest in your subject and book. It’s the main station from where you broadcast your message to your satellite stations, the social media sites. As you do this, you build anticipation for your book in your target market and let those potential readers know your book is available. 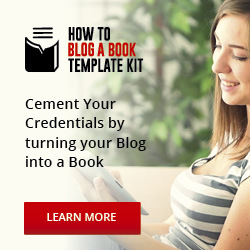 As you blog you allow potential book buyers to sample your content and get to know, like and trust you. Your readers will become acquainted with your style, ideas, expertise, and ability to provide value. They will then become the first people to purchase your book and to share it with their friends. No, blogging is not dead, and many people still want to land blog-to-book deals or blog books. In the next few years, more people around the world will gain access to the Internet than ever before. That’s a good reason to start blogging or blogging a book as fast as possible if you have started doing so already. Ensure that you, your blog and your book develop an established online presence before the influx. 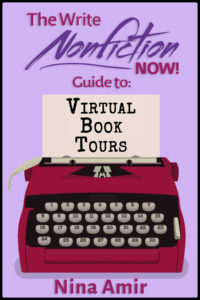 Then you’ll have the visibility you desire when online opportunities to reach readers increase and you want to promote your newly released book. Great stuff. Thank you for sharing what you’ve learned. Thank you, this was awesome. I’m glad to feel like I am on the right track with the things I’ve been doing over on my own blog. Thanks for sharing this awesome research! Blogging is still very relevant, especially among authors. It’s a way to build your brand and establish yourself as a thought leader in your niche. It also serves as content to share in social media, to ensure that you stay top of mind among followers! Thanks for this article. I used to blog consistently but fell out of the loop. I would love to start again. I’m interested in restarting my business blog, and also blogging my book. I looked into WordPress a year or so ago but found it very confusing. I signed up and tried to design my own blog without any success. I currently use Wix for my website and Blogger for my blog. Much easier to use. But will I get traffic coming to either of them since I’m not using WordPress? I want to be successful, yes, but I was totally turned off by WordPress. Any suggestions? I only recommend WordPress.org (not.com), Amy. I am not a fan of free sites for a variety of reasons, which I have written about here on this blog. I used Blogger and WordPress.com briefly when I started out. I never got as much traffic as I do now, and I saw a spike in traffic as soon as I moved to WordPress.org.